Christie Sarrett of Malakoff passed away on March 6, 2013 at the age of 51. Christie was born on Sept. 7, 1961 in Dallas to James Works and Marlene Hanson Works. She is survived by her parents; son, William and wife Samantha Sarrett; daughters, Brandy and husband Allen Coonrod and Rachel Gatlin; special companion Scooter; sisters, Terri and husband Kenneth Harper and Carol and husband Clifton Dunn; grandchildren, Isaac, Marrisa, Halie, Dalton, Trinity, Charity, Zabelah and Arian; great-grandchild, Isaac Jr.
Visitation will be held on Tuesday, March 12, 2013 from 1-2 p.m. at Huckabee/Tomlinson Funeral Home in Malakoff and service to follow at 2 p.m.
Memorial services for Patricia “Patty” Murry, 64, Athens are scheduled for 2 p.m. Sunday March 10, 2013 at Carroll-Lehr Funeral Home Chapel with Rev. Mike Curry officiating. Patricia died Wednesday, March 6, in Athens. She was born Sept. 13, 1948 in Dallas to the late Sidney Sylvester and Martha Adele Nelson Johnson. 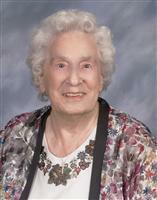 Patricia had been a resident of Athens for the past 28 years and was a member of Lake Athens Baptist Church. She was very active in her church and participated in as many activities as she could. She was a loving mother and grandmother. Patricia was preceded in death by her husband James H. Murry Sept. 5, 2001. Survivors include her son James H. Murry Jr., Athens; stepson Jason Murry, Mesquite; stepdaughters Melissa Eaton, Sharon , Pennsylvania, Cynthia Murry, Mesquite; five grandchildren and numerous nieces, nephews, aunts and uncles. In lieu of flowers memorials may be made to Lake Athens Baptist Church, 5151 FM 2495 Athens, Texas 75751. Funeral services for Mickey Parker, 65, of Murchison are scheduled for 10 a.m. Saturday, March 9, 2013 at Rock Hill Baptist Church with Reverends Robert Welch, Bill Watson and Dan Bristow officiating. Burial will follow in Leagueville Cemetery. Mr. Parker died Thursday, March 7, in Tyler. He was born Aug. 22, 1947 in Athens to the late Herman Lloyd and Nell Earline Jordan Parker and spent most of his life in the Murchison and Brownsboro area. Mickey graduated from Brownsboro High School in 1965. He attended East Texas State University in Commerce where he earned a Bachelor’s degree in Industrial Arts then his Masters degree. He retired from Brownsboro Independent School District after 25 plus years of service. 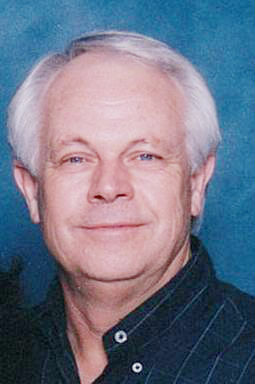 Mickey was a member of Rock Hill Baptist Church and had volunteered as a Christian counselor for many years in Tyler. He was an avid sports fan. He loved playing golf and woodworking. Mickey was a loving husband, father and loved spending time with his granddaughter Abby. He was preceded in death by infant daughter Kristi Leigh Parker in 1975. Survivors include his wife of 45 years Annette Parker, Murchison; daughters Angie Loyette Scalco and husband Vince, Longview, Heather Parker VanCleave, Austin; brothers Jerrol Parker and wife Beth, Richard Parker and wife Sharon, both of Brownsboro; sisters Lynn Benton and husband Homer, Murchison, Rhonda Westbrook and husband Bill, Hallsville; granddaughter Abby Grace VanCleave, Austin and numerous niece and nephews. Pallbearers will be Tony Mayfield, Eric Parker, Jordan Parker, John Westbrook, Joey Westbrook, Jon Hardin, Matt Hardin, Sam Hardin, Derek Hardin, and Caleb Hardin. Visitation for family and friends will be 6-8 p.m. Friday at Carroll-Lehr Funeral Home. In lieu of flowers, memorials may be made to Rock Hill Baptist Church Building Fund, 10768 CR 3405, Brownsboro, Texas 75756. A memorial service for Gary R. Slaton, 63, Athens is scheduled for 2 p.m. Sunday at Bethel Christian Church with Rev. Jim Rawlins officiating. Sgt. Slaton died March 6, 2013 at home. He was born July 15, 1949 in Athens to the late Taylor Columbus and Lillian Marguerite Clampitt Slaton. Following graduation from Athens High School in 1967, Gary attended Henderson County Junior College then later earned a Bachelor’s degree from Sam Houston State University. 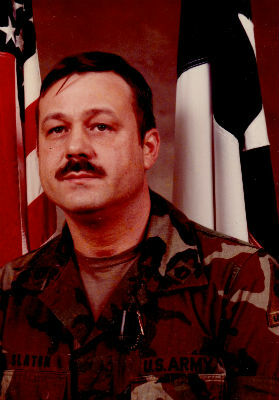 He served a 30-year tenure with the United States Military retiring from the Army in 1999. He was recipient of numerous medals and ribbons including the Republic of Vietnam Campaign Medal. Mr. Slaton taught Texas History at Athens Intermediate School for eight years. For the past 12 years he was co-owner of Slaton Paint and Body Shop. He was a member of Bethel Christian Church. Gary loved writing songs and playing the guitar. In addition to his parents, Gary was preceded in death by a brother, Jerry Don Slaton and sister Betty Sue Slaton. Survivors include wife of 35 years Charlotte Slaton; son Randall Slaton and wife Hollie, Athens; daughter Ricarda Hunter and husband Don, Berryville; brothers Kenneth Slaton, Athens, Norman “Dommer” Slaton and wife Dianna, Malakoff; sisters Fern Fowler and husband Gerald, Brownsboro, Gwenda Billups and husband Don, Tyler; grandchildren Joseph Splawn, Colton Hunter, Shiann Hunter; numerous nieces and nephews. The family wishes to extend deep gratitude to Dr.Ted Mettetal and Bristol Pathways Hospice for the love and care given to Gary during his illness. Dorothy Agnes Crochet Singleton, 98, from Tool joined our Lord in Heaven Monday March 4, 2013 while at Cedar Lake Nursing and Rehab. Memorial services are scheduled for 3 p.m. Friday, March 8, at First Methodist Church in Tool. Interment is scheduled for Thursday, March 7, at Little Bethal Cemetery in Duncanville, Texas. Mrs. Singleton was born Dec. 28, 1914 in Berwick, La. to Joseph Clarance Crochet and Winnie Marguerite Darce. She was preceded in death by her husband, Leo Eugene Singleton; children Eunice Rae, Carol Ann and Gayllard Leo Singleton; three grandchildren and two great-grandchildren. Survivors include sons Richard Lee and wife Linda Singleton, Leo Eugene and wife Sam Singleton and Ethor Joe Singleton; five grandchildren; 10 great-grandchildren and 11 great-great-grandchildren. Visitation will be held at Moorhead-Epps Funeral Home, 750 E. Main St., Gun Barrel City, Wednesday, March 6, 2013 from 6-8 p.m. In lieu of flowers, please send donations to Hospice of East Texas at 4111 University Blvd., Tyler, TX 75701, please mention Dorothy Singleton when donating.